Has Your Baby Started Teasing You on Purpose? What’s It Like to Be 10 Months Old? Question And Answer: How Much Time Is Enough? Whenever you find yourself overly stressed, think about giving yourself a gift – time just for you. If you’re a single parent, you can trade babysitting with another parent or trade a service, such as cooking a meal in return for a few hours to yourself. Taking time for yourself will help you feel refreshed and ready to get back to parenting. There’s an added bonus for your baby. You will be better at solving problems and finding different ways to get things done. When you take care of yourself, you are helping everyone in your family. Take a long bubble bath, a walk, a swim, or a catnap. Watch a movie or read a book. Plan your future. Investigate classes you might take or jobs you might apply for, or plan other activities you would enjoy. Talk to someone about the stress you feel and what you might do to reduce it. I crawl up steps, but I haven’t learned how to get back down yet. I may have trouble sleeping at night because I’m restless. I still don’t like being away from you. I have many different feelings now —sad, happy, mad, and scared. I am sensitive to other children’s moods. I will look for something—if I see you hide it. I know that if I don’t see a toy, that doesn’t mean it’s gone forever. While you are feeding your baby, your baby may be feeding the floor. 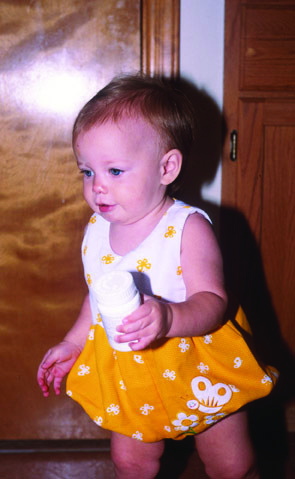 Most babies don’t learn how to use a spoon well until after their first birthday. If your baby is interested, now is a good time to begin letting her practice using a spoon. If you are worried about your baby not getting enough food, try two spoons — one for you and one for her. If she will let you, give her a mouthful in between her efforts. Include finger foods with your baby’s meals. 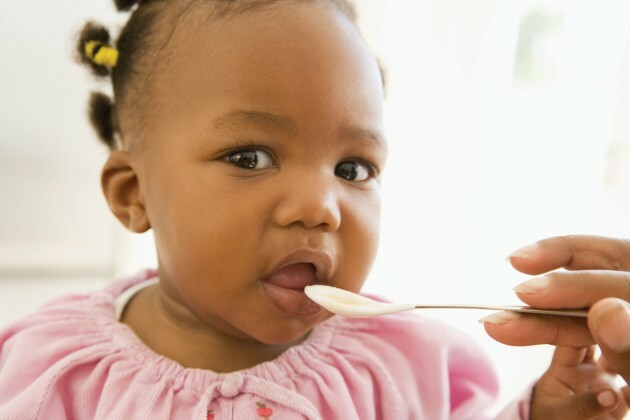 Although your baby may not be good at using a spoon yet, she likes to feed herself. 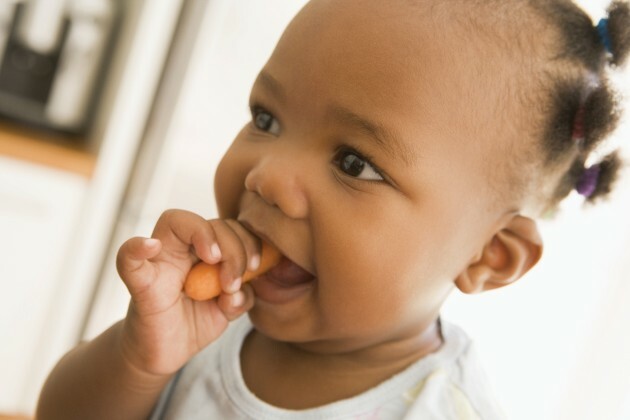 Having some finger foods at mealtime gives your baby some easy foods to eat. Does your baby like to shop? Some children really seem to enjoy the shopping experience. Others get overly excited by all the colors, textures, smells, and noises and may “freak out” with bad behavior. If your child can handle the stimulation, shopping can be a fun outing. for him to play with and keep those busy hands from grabbing something unsafe at the store. Don’t let him stand in the grocery cart. Use the seat strap, or bring one to keep him seated. 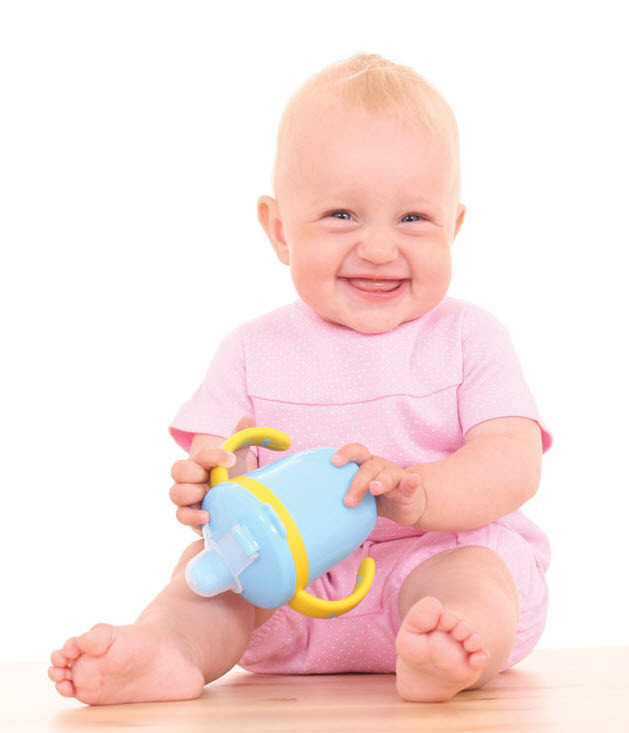 Show your baby how to climb up and down, on and off safe objects. This makes learning to climb safer. When you have time to help your baby with her climbing exercises, show her how to climb up. Show her how to come down crawling backward, so she doesn’t do it head first. Gates at the top or bottom of the stairs, depending on where the baby is, can prevent accidents. Don’t use an accordion style gate or a gate with a V-shaped opening. These have caused accidents and deaths. Buy a gate approved by the Consumer Product Safety Commission. You may have seen your baby act angry. Understanding angry behavior can help you handle these difficult situations. The anger might start when your baby wants something he can’t have or when something is taken away from him. He looks angry, and his body is heavy and tight. He focuses on what he wants and won’t be distracted. He may kick and scream. He is having a temper tantrum. He is being controlled by his anger. Now, you have to help him learn to control his anger. Yelling and punishing him are not helpful. Actually, they make things worse. He is out of control. So you have to be in control. Think about when and where your baby gets angry. Is he hungry or tired? If so, either feed him or change the schedule. If it happens in a particular place or situation, see what you can change to prevent your baby from becoming angry. If your baby is frustrated because he doesn’t know how to do something, show him how. For example, if he can’t crawl back down the stairs, show him how to crawl backward. If your baby is frustrated because you have set limits (such as no cookies), try to interest him in a different activity or object. If this doesn’t work, pretend to ignore him as you straighten the room or wash the dishes. Stay nearby and be patient. When he sees that you are not paying attention, he will quiet down. Once your baby is calm, give him a hug and a little understanding. His strong emotions are no fun for you, but they are scary for him, too. What if your baby gets upset in a public place, such as the grocery store? Once again, try to interest him in something else, such as a toy or a picture on a cereal box. If he continues to be frustrated, you may have to pick him up and leave the store. Your child is not the first to scream or cry in public. Even the people who frown or make comments have probably gone through the same thing themselves. Ignore them. Don’t spank your baby. This does not help. He is already out of control. It scares him even more when you are out of control and angry. This is just the beginning of helping your child deal with anger. Creating good habits to handle anger now will pay off later. Food habits you build today will last a lifetime. Meal times matter! Hungry babies want to eat. It’s up to parents and other caretakers to help babies develop a good attitude about food. How? With lots of praise, a little patience, and encouragement, your baby can learn to like a wide variety of tastes and textures in new foods. Good food habits start in infancy. Help your baby learn to eat just the right amount for her — not too much, not too little, but just the right amount. Don’t make your baby clean her plate. Don’t offer food as a reward. If your baby doesn’t like a food, don’t make her eat it. Wait a week or two, and then offer it again. Give a small portion of what she didn’t like before, served with a food she does like. Do not mix the two. You might try to cook the food she dislikes in a different way. Young children may not like a food they can’t identify. If the rest of the family likes a food, your baby will probably like it, too. When family members or friends offer your baby foods that you prefer not to serve, be willing to bend a little bit. Allow your child to have a small amount of the food every now and then. Small amounts of sweets will do less harm than a negative response from you. On the other hand, encourage your child to eat healthy foods every time you get a chance. A smart thing to teach your child is to open his mouth, stick out his tongue, and say, “Ahhh.” This trick will make going to the doctor easier. It is also helpful when you want to see what your baby has put in his mouth. To teach your baby to say, “Ahhh,” open your mouth wide and stick out your tongue. Your child will learn by copying you. No matter how safe you try to make your home for your baby, he will find something to put in his mouth. When this happens, don’t panic! You might startle your child and cause him to swallow the object. Instead, act as if you are playing the “Ahhh” game. If your baby knows the game, he will copy you. You can check your child’s mouth in no time. Has your baby ever headed straight for a wastebasket, making sure you notice? Does she reach for your glasses, waiting to hear you say no? Your child is testing the limits. She is experimenting to see just where the limits are. Teaching children to behave has always been a challenge. What works best is to make it easy for her to do the right thing. That works better than trying to keep your baby from doing the wrong thing. Make sure your baby gets plenty of your attention when she is doing things right, not just when she is doing things wrong. She loves your attention and will do anything to get it. Give your baby safe toys and places to play. Pick up your baby and take her away from dangerous things. Be a teacher. Use words such as “hot,” “tastes bad,” and “stop” instead of saying “no” all of the time. My daughter crawls around and pulls everything out of drawers and cupboards. I want to let her explore, but will this become a bad habit if I don’t do something? Don’t worry about your baby developing bad habits yet. Babies this age create clutter. Healthy 10-month-olds are explorers. Your baby pulls things out of drawers, turns furniture over, drags toys all over the house, and examines everything she can touch. She is trying to figure out how everything works. Make the most of this fun stage. Drawer and cupboard latches will keep her out of things she shouldn’t have. Make special drawers or shelves just for your baby. Fill them with plastic bowls, wooden spoons, special toys, or surprises that will keep her interested in staying in one place. You are right to let her explore. Now, you just have to guide her to explore the places you have set aside for her. Studies show that mothers, whose children do well in school, talk to their babies. They encourage their children to explore. They are relaxed about housekeeping and spend time enjoying their children. They also enforce the few rules they set. What you do now will pay off in the future. Parents who use full-time child care sometimes worry that their babies will feel more love for the child care provider than they feel for their parents. When your baby calls another woman “Mama” you may feel hurt, jealous, guilty, or confused. Research shows that infants in child care do form strong bonds of love with caregivers. 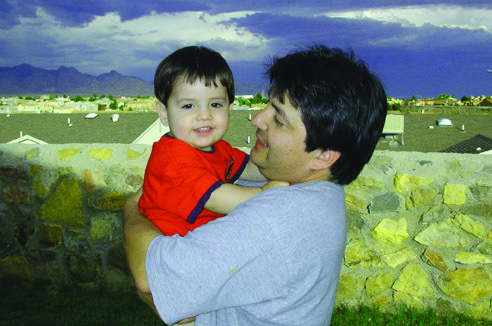 Your baby sees the caregiver as someone to calm his fears and help him feel secure. 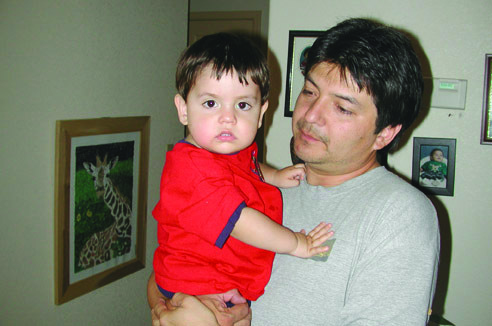 Studies show that caregivers do not replace parents. Some of the research was done in communal towns in Israel, where babies live and sleep in special infant houses with trained caregivers and only see their parents for about three hours every evening. Even in this extreme case, babies are more strongly attached to their parents than their caregivers. Babies form these same strong attachments to adoptive parents, too. The research is clear: Your child care provider doesn’t compete with you. He or she helps you raise your baby, but never replaces you. Having a strong attachment to the child care provider is good. 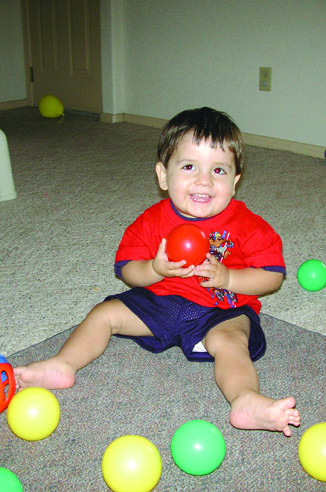 Your baby feels secure and loved in every place he spends time, both at home and in child care. If your baby calls the child care teacher “Mama” by mistake, you can tell yourself, “How nice! My baby feels safe and loved by his teacher.” You’ll also know that no one can replace you. Purpose of the game: To teach babies that things are still there, even when you can’t see them, and how to get information from words. How to play: Hold a small object in one of your hands and show your baby the object. Switch the object back and forth slowly between your hands several times. Hide a toy under a towel. Encourage your baby to hunt for the toy. Remember, the goal of these games is not to fool your baby but to help him learn that objects are there even when he can’t see them. Sometimes I feel guilty. Am I a lousy parent because I have to be away at work all day? Of course not. But it is hard to be both a good parent and a good worker. If you find quality child care for your baby and if you do your best to be a sensitive parent, your baby will usually do fine. The research shows that what you do with your baby when you are together is more important than the number of hours you work outside the home. For example, babies usually form their first strong attachments to fathers and mothers during the same period (about 6 to 8 months of age), even when one parent works full time and the other is home with the baby. From your baby’s point of view, the important thing is to have quality care all day long, whether at home or elsewhere, or with a parent or a child care provider.